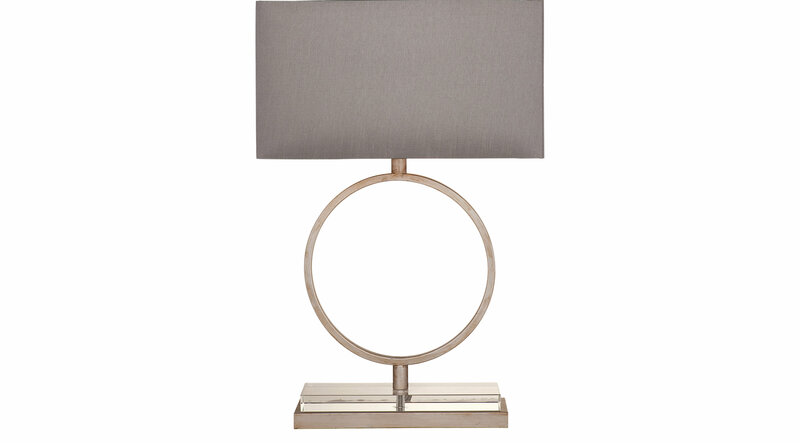 The Nesmith table lamp works great in any modern setting. It is the perfect size for a side table or console table. It features a silver leaf metal finish and grey linen shade that works well with today's popular design colors.